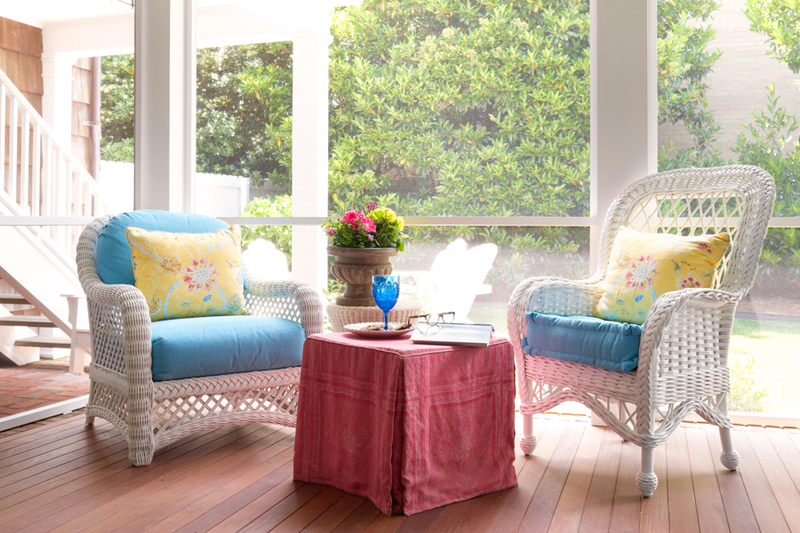 Here is a porch at the beach. This is a wonderful old grey shingle house close to the ocean at Virginia Beach. There are parents, four grown children and 5 grandchildren – and counting……lots of cousins and friends are always around because it’s such a fabulous house – comfortable and fairly bulletproof! I designed this trestle table and benches and Zack Jester (www.vanjesterwoodworks.com) built them for me and white washed parts with marine paint. 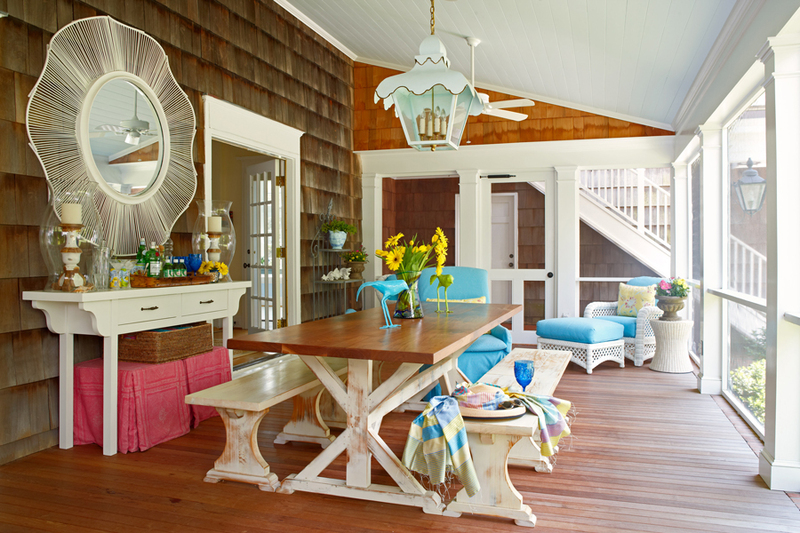 The base of the table and the benches are all made form antique cypress – the top of the table is reclaimed walnut. 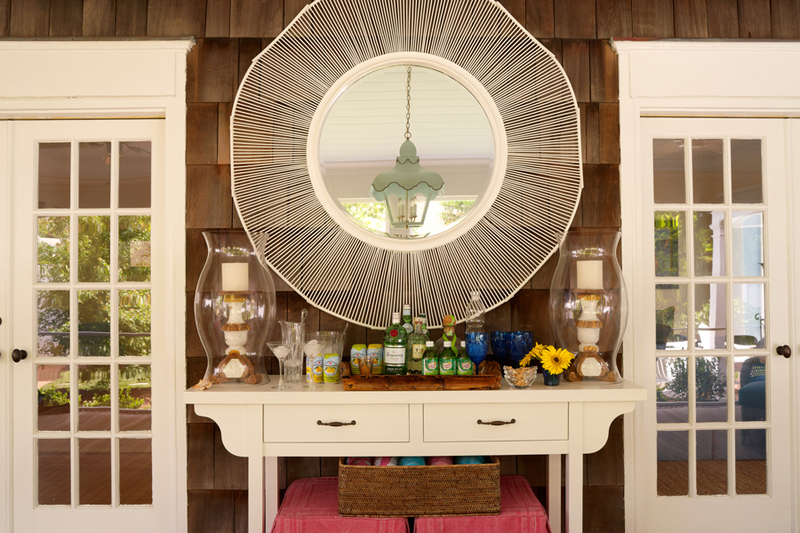 The lantern is from Coleen Rider (www.coleenandcompany.com) and the mirror was found on a shopping trip to LA last year. This entry was posted in Blog on May 20, 2012 by Jen.